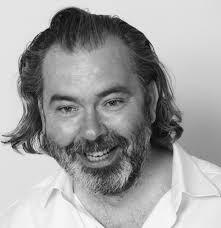 JOHN MITCHINSON is a writer and publisher and the co-founder of Unbound, the award-winning crowdfunding platform for books. He helped to create the BBC TV show QI and co-wrote the best-selling series of QI books. As a publisher, he worked in senior positions at Harvill, Orion and Cassell. Before that he was Waterstone’s first marketing director. He is co-host of Unbound’s books podcast Backlisted and a Vice-President of the Hay Festival of Arts & Literature. This is an edited transcript of an interview with John Mitchinson which took place March 2018. Hamzah Hussain: This is Hamzah Hussain from the University of Dundee with John Mitchinson from Unbound. Hi John, can you tell me a little bit about the story behind Unbound? How did it start? John Mitchinson: It started in time-honoured fashion: three friends in a pub. All of us were writers. At that stage, I was writing scripts and books for the T.V. show Q.I. and I had a background in publishing but wasn’t working in publishing. My friend Dan Kieran had written seven, eight books and had just had a book turned down. This would have been in late 2009. Publishing had gone through a bit of a recession, like everything else, in 2007-8. The third guy was Justin Pollard who was also a writer and working with me on Q.I. We’d got to know each other because Dan had set up the original Q.I. website. We were just talking about publishing; I think at that stage I had a few friends – Web 2.0 people – who were doing interesting things and starting stuff up, and I’d become aware of other projects (Kickstarter launched in 2009). And somehow out of this “What could we do to change things for the better?”, an idea grew. Dan had been a writer for ten years and he realised he didn’t know the names or addresses of any of the people who’d bought his books. He sold, maybe half a million books in that time, but he didn’t know who he’d sold them to. This seemed like a crazy situation for a writer to find himself in. He had been getting a book deal for a book a year and suddenly he thought, “My livelihood’s gone, I’m having to go back to low-paid jobs because I don’t know who’s bought my books. This can’t be right”. Meanwhile I’d been thinking about Kickstarter, and whether crowdfunding was a way of re-inventing the old eighteenth century model for publishing, which was subscription in advance. A writer would advertise through booksellers and newspapers that they were planning to write a book, and needed subscribers. They would get people, literally, to sign their name and pledge to buy copies. When they got enough people on board they would go ahead and write the book. That seemed to me to be an analogue version of crowdfunding. So that’s how the conversation started. It seemed fairly clear to me as somebody who had a background in traditional publishing that there were problems with pure crowdfunding. I already had friends coming to me and saying, “Hey, I just raised money on this new platform to get a book published but, can you put me in touch with printers? And how do I get my book into bookshops?” Of course, the answer was, ‘It isn’t that straightforward’. It occurred to me that there was perhaps a hybrid model ̶ somewhere between a pure platform and a traditional publishing house, where you could offer the excitement, the directness and democratic energy of crowdfunding, but connect it to a set of skills and services that traditional publishing offers: editing, design, marketing, distribution and sales. So, that’s kind of it. We wrote a business plan and managed to persuade somebody to give us fifty-thousand pounds to do a very beta version of a website and sort of took it from there. I have to say, at that stage, I was always kind of trying to find reasons not to do the idea because I had always said I didn’t want to go back – I’d left traditional publishing in 2001 and always said I wouldn’t return. I was enjoying the independence of writing and it was great fun making a great TV show. But I couldn’t get the idea out of my head. Dan always uses the line, “You don’t have great ideas, great ideas have you”, and that’s sort of how it felt. HH: You mentioned that you moved away from traditional publishing in 2001. What was it about traditional publishing that wasn’t working for you? JM: I’d been a traditional publisher, I’d been a bookseller. I was very lucky in the early days of Waterstones; I ended up being marketing director. I still recommend to publishing friends that there is nothing more instructive, interesting, and good for the spirit than working in a bookshop. There’s something deeply rewarding about direct interaction with customers: recommendations, guiding people through the mass of books that are being published, and finding things that fit their taste. I have always loved that about book-selling. I had imagined that publishing would be like that, but no. What happens in publishing is that you work with great authors and you make wonderful books, but then you undergo a strange sort of disconnect because you’re not really selling to readers. The real job of publishing is to pre-format your intellectual property into a shape that retailers want to take. So I felt increasingly distant from the end user, the reader. I found that a lot of the publishing process was compromised: a lot of the time you are being economical with the truth about how many copies have been bought or sold, or else you are saying no to great ideas because you can’t see a way of selling them to a conservative retail trade. A lot of editors, I think, feel this frustration. Even if you get a book through an editorial meeting, there’s a general feeling that the chances of it working are slim. So you end up having to console the author. It just felt to me that it wasn’t working for a lot of writers. It worked in the past, obviously, but I think the big publishing houses are now predominantly hit factories. At Unbound we always compare traditional publishing to agri-business ‒ that publishers are only really looking to plant five types of crop, the ones with the highest yield. That means that there is a massive amount of interesting and good stuff that just isn’t being published. Because it is not easy for a publisher to see the return, real innovation in publishing is compromised. That climate seemed to offer an opportunity for independent players in the publishing sector to come in and disrupt the sector and do something differently. And there are lots of wonderful, small independent presses that have sprung up in recent years but no one seemed to be doing anything in the technology space. Nobody seemed to be challenging the relationship between readers and writers. And that seemed to us to be a really interesting opportunity. Another way of looking it at it is like this. I’ve been involved with the Hay Festival for twenty-five years. I was always struck, even when I was in publishing, by the sort of mismatch between, on the one hand, live audiences at festivals like Hay who were open to all kinds of new ideas and stories, who want to push for and discover new things, and the sort of depressed state of publishing, certainly at the literary end of the market, with lots of editors feeling they couldn’t commission books because they didn’t feel (or the sales departments and the marketing departments didn’t feel) that there would be a market for them. I mean The Good Immigrant is a good example of that. That book would have been impossible to commission through a traditional publishing house. I was tired of having conversations with writers I really respected, apologising for why we hadn’t sold more. They would say things like, “You paid me twenty-thousand pounds, why aren’t you trying to recoup that money?” The reply was, ‘Well that’s just not how it works’. Publishing is a spread-betting business. They put a lot of books out there; most of them don’t work, most of them lose money. One in five books earns back their advance. There are low returns on investment. Obviously at the top-end if you’re publishing big-brand authors, there is still a lot of money to be made. Penguin and Random House and the big groups ‒ they do make money. It seemed to us that there was definitely space for innovation and that is what spurred us on. HH: You mentioned Kickstarter. In what way is Unbound different? JM: The major difference is Kickstarter is a pure platform. They just take commission for any of the successfully funded projects. We acquire rights in the projects that fund, so we have a vested interest in getting things to fund and, obviously, we are focussed primarily on books. What that means is that we have two modes; we have our fundraising, crowdfunding mode and then we have our publishing mode. I guess the deal is if you can raise enough money to cover the cost of the first edition of your book through Unbound, we’ll go on and distribute you into bookshops, and on Amazon. So it solves a much broader set of problems for an independent author than just, “Raise money so I can print a copy of my book”. It’s combining the good things in publishing, the skills and experience, with the excitement of crowdfunding. Unbound is not an open platform, you can’t just load a project – we have to approve it. So we are still acting as gatekeepers, but we open the gates a lot wider than the traditional publishing house. People can come in as a digital-only author which is fairly low-target sum, right up to expensively illustrated, complicated projects which can cost tens of thousands of pounds. It’s a 50-50 profit share with the author; we offer all the services a traditional publisher offers but also an interesting and exciting way of building an audience directly through crowdfunding. HH: Are there any parts of the traditional model that becomes obsolete in your model? Certain aspects that are not needed? JM: It’s a good question, actually. What is it we are taking out of the process? Some authors use us and they don’t use literary agents, so, I guess we’ve disrupted agenting to some degree. Having said that, we do have a good relationship with literary agents, particularly for fiction. I think literary agents perform a useful function over and above the getting of a deal, which I think is what most authors are using them for. They are able to use them for advice and first-stage editing and all the difficult sort of support that you need to give an author in the early stages when they’re not quite sure what to do. But we do offer a rights sales service, offering authors access to audio and to film and television. Intellectual property management is the core of traditional publishing. So it’s not that we are replacing that. What we’re doing is making it simpler, fairer and taking out the bureaucracy The traditional advance and royalty system is very complicated and difficult to monitor, and a lot of people employ agents simply for that reason. At Unbound, because it’s a profit share, you get a profit and loss statement twice a year. It’s much simpler for authors to understand. In terms of other functions, we still use an independent sales force to sell our books to bookshops. In a perfect world, I guess, we wouldn’t need to distribute books into bookshops, we would just send them all directly to readers. But you have to deal with the reality that a lot of authors and readers like bookshops, and like using them. Amazon is a big and growing chunk of our business but people still like going to good, independent bookshops to buy their books. I don’t think there’s any bit of traditional publishing that we’ve rendered completely redundant; I think we’ve streamlined the publishing process. I think perhaps we’ve also made the financial relationship between author and publisher more even-handed because it is a joint venture. Essentially, we’re signing joint ventures with each of our authors – Unbound can’t make money unless our authors do. HH: Have you noticed in changes in the creation or production process of publishing a book that happens with Unbound’s model as opposed to the traditional one? JM: One thing we do that traditional publishers don’t is run “direct to consumer” promotions. The promotions that publishers run have to run through retailers. We do those promotions too (mainly through Amazon) but we can do also a lot of stuff directly with 150,000 active users on the Unbound site. We can do price promotions, we can do anything we want. That’s definitely one area that’s different. HH: Some might criticise that without a pre-existing fan-base or a large social media following, crowdfunded publishing, like Unbound, is not very effective. What would your response be to that? JM: There’s an element of truth, I guess, in that. It’s always difficult if you’re at a standing start. But our model rewards innovation, and rewards people who are building a social media following. Building a following is a challenge whether you’re doing a book or not. We estimate that about sixty percent of the funding for an average book on our site comes from ‘their’ network, that is people who have a direct relationship will be to the author… it might be second or third degree of separation. About forty percent might comes from complete strangers, most of them coming via people who are on the Unbound site who are pledging for other things. As we grow the size of our user base we hope that split will be reversed. At that point, it’s going to be a clearer, more obvious route for more authors to take. The percentage of the number of new readers bringing to support projects is going up all the time as Unbound’s user base goes up. If you’re trying to get a first novel published on the Unbound model which is digital only and a small paperback run, you can do that with as a few as one-hundred- and fifty supporters, raising about four-thousand pounds. I’m not saying that is easy but it’s possible and that gets you an e-book and a paperback that you can sell, that will get some distribution particularly in your local bookshops. It gets you on to Amazon, it gives you a chance. You trialled your idea in front of a live audience. You’ve also had a professional editor work on your text and a professional designer work with you to produce a cover. So it’s not self-publishing. There are people who self-publish especially on Amazon and do that brilliantly. But increasingly we’re offering prospective writers the tools to build the size and quality of their personal network . And often the size is less important than how active and how engaged the network is. A good example is the fastest book to have been funded on our site – Tom Cox’s 21st Century Yokel; Tom has 80,000 Twitter followers and he engaged them by continually building and inventing new pledge-levels and stretch goals for the book. There was always something new (and limited) to pledge for. This built on his Twitter account featuring funny captioned photos of his cat “My Cat Is Sad”. It’s very cool if you get somebody who’s got that kind of following to use crowdfunding properly. But it’s also true that people who have got big active networks may not necessarily see themselves primarily as writers of books. Tom Cox was already a bestselling author, but I don’t think Shaun Usher (thought he was primarily an author when he started to fund Letters of Note). But now he’s got four successful books behind him. HH: You mentioned earlier, you like having the closeness to the reader. What is it like to have the reader take a part in the creative process of the projects? Is there anything that stands out to you? JM: Well, I think what’s great about it is giving authors and readers the sort of safe space where they can collaborate. Some authors are more interested in collaboration than others but it’s all done on their terms. I think it is very motivating; authors sharing early drafts of chapters or early versions of the cover, and getting direct feedback from readers who support them. It’s turning what is, in traditional publishing, the closed and silent process of the writing of the book into something social and collaborative. With the former, you get a traditional book deal, you get your first tranche of advance and then nothing other than writing happens until the book’s delivered. At Unbound, we’re able to engage and develop, and build the relationship between the author and reader through that process, which becomes its own marketing process if people are sharing their interactions. People often ask what happens when you get to 100 percent. Well, if you’re good at engaging with your readers – getting them to become your marketeers, and getting them to use their connections to support the project as well – there’s a good chance you’ll comfortably exceed the one-hundred percent target. And raising more money using stretch goals means more profit, and more money for the authors. It’s just a more active and engaged way of publishing. It’s not easy. Anybody who’s done crowdfunding and they will tell you it’s not easy to do. But it is real – and you get to keep the relationships you make as part of the process. Going back to Dan, my partner’s original insight – the 500 or 1,000 people you get to support you are people you can go back and talk to. Then when you write another book, you can go back to them and say, ‘Hey, I’m doing a second book. Will you support me again?’ And many of them do. It gives authors more agency in the whole process I think. HH: Thank you, John, for your time and sharing all this information about Unbound. JM: Thank so much Hamzah – as I hope you can tell, Unbound is a company that runs on passion and a belief that technology can improve and enrich our creative lives.